Yes, we made it here safe and sound Friday night! No car troubles along the way (Thank you Lord!!) and we survived the KOA cabin in Idaho! The cabin was just fine - the place was not fancy in the least, but what we expected for the price. I will try to take pics of it on the way back and give you some good laughs! If weather is OK - thunderstorms this afternoon and rained a few minutes ago - we will head to Lewis & Clark Caverns! They are my favorite caverns and a nice long tour. The rest of the week, we plan to do a few touristy things and stop at my favorite candy shop. We also hope to take a trip heading north and visit the farm where my Dad grew up. Good stuff! Doesn't look like I will have to deal with any snow while I'm here, but do you know what I JUST remembered tonight that I WILL have to deal with?? The tissue toilet-seat covers issue - argh!! I haven't used a public restroom here yet and if I hadn't blogged and remembered - they would have caught me off guard yet again! 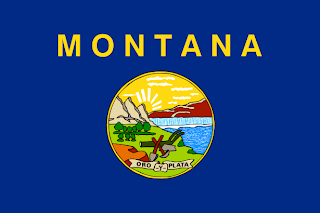 M-O-N-T-A-N-A...Montana, I love you (I sang that, 'cause it is part of the state song - LOL)! I hope all of you have a fantastic blessed week! 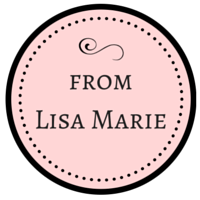 Now be sure to come by tomorrow - I have a great Tea For Two-sday guest post!! LOL. Just before I read it I thought, Oh no, no toilet seat covers and then I read it. Too funny. You're going to survive, I know it. Just focus on the candy store and all will be well. Big Hovering over the toilet so's not to get cooties size hugs to you my friend. Thank God for safe travel! Have a great time! I'm glad you made it...have a great time! 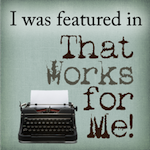 Just came across your blog today. 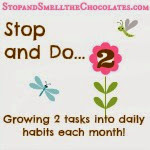 How could I not check out out blog call Stop & Smell the Chocolate. I'm enjoying going through these recipes.